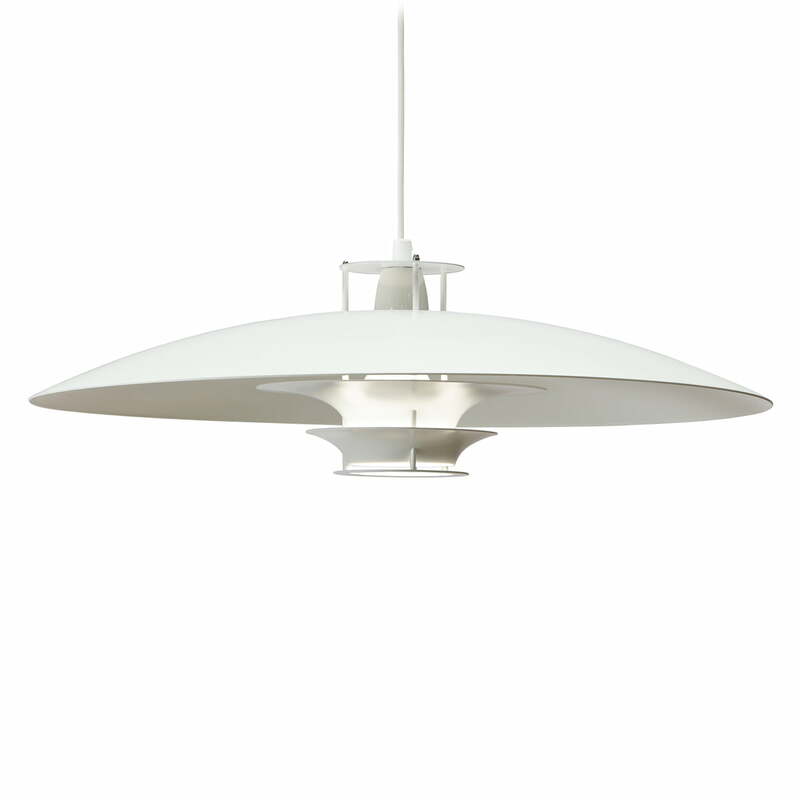 The Artek JL341 pendant lamp was designed by Juha Leiviskä in 1969. 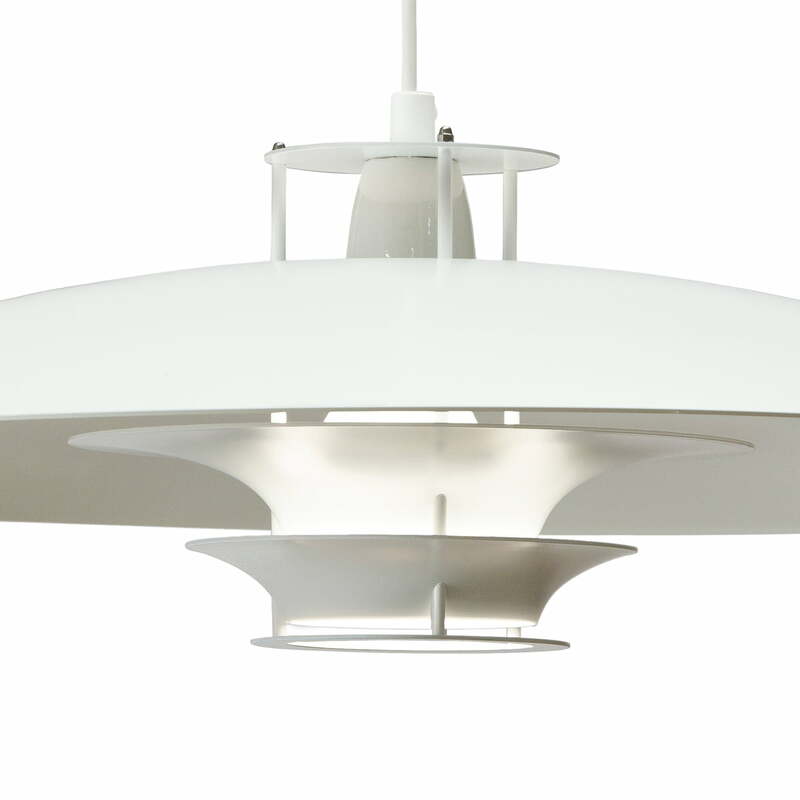 The pendant features a flat, white shade and reflectors that complement the design in either white or brass. Thanks to the special design, the luminaire offers a pleasant glare-free light, which makes the wide pendant lamp particularly well suited above the dining table or as general lighting in the living room. The JL341 pendant lamp with brass reflector is available upon request. The suspended light impresses with its flat shade and the two lower reflectors, which distribute the light optimally in the room and create a warm atmosphere.